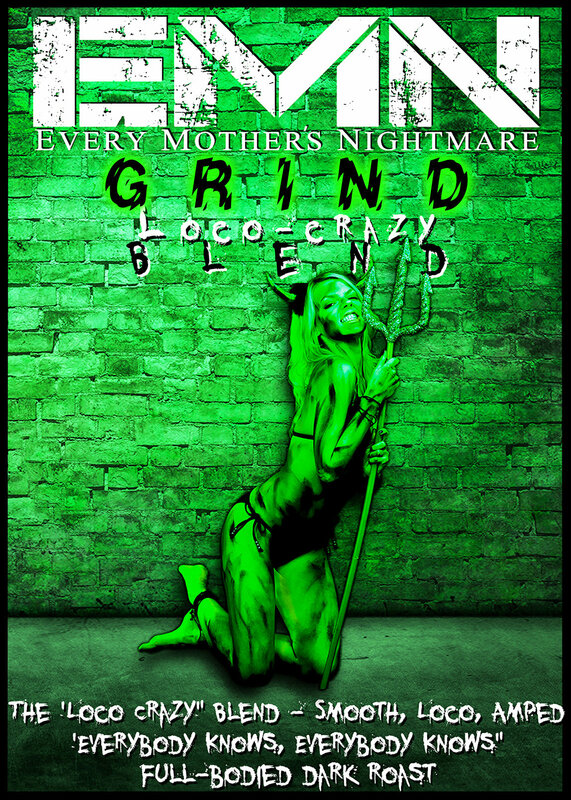 The new signature artist blend Every Mother's Nightmare 'Loco Crazy' blend. A dark roasted, full-bodied, flavorful coffee. 'Smooth, Loco & Amped'!